ILHC HERE WE COME: Fundraising Goal Achieved! Today, at 7:15pm PT, we received word from Indiegogo that we had received a $75 contribution from our friend Paul Marino. 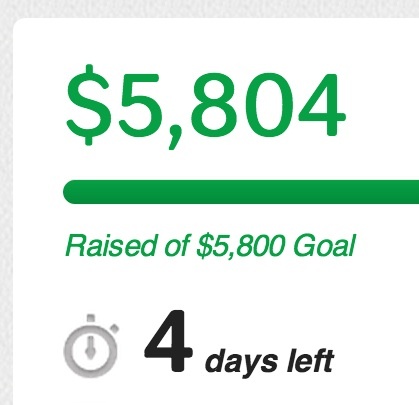 That puts the amount we have raised at $5,804, just over our goal. We still have four days left in our campaign, and lots of awesome perks in the goodie bag. Plus, every dollar beyond our goal will go toward our costs at ILHC. So do keep contributing if you haven't already. From all of us at Yehoodi, thanks to the hundreds of you who believed in this project enough to share it with your friends, post it to your Facebook wall, send us a message of support, and make a donation. You make me so proud to be part of this community.